405b: extra art Tuesday. 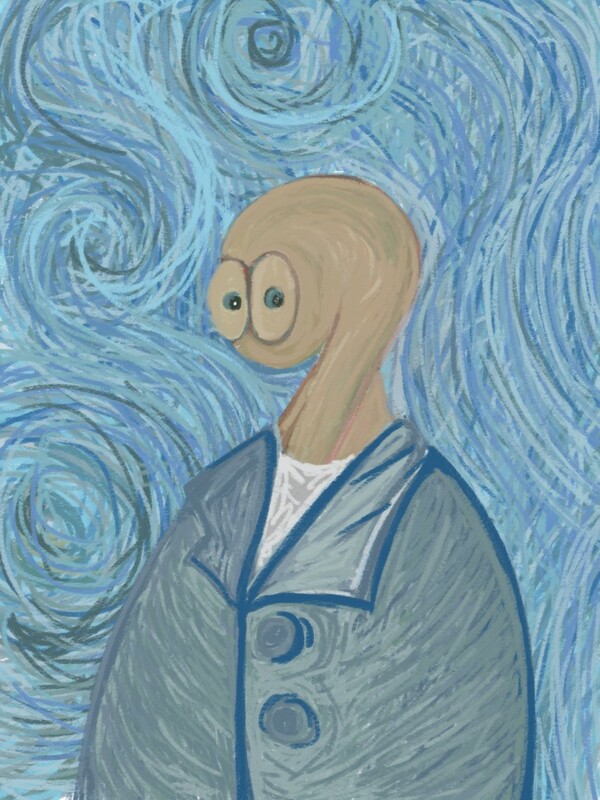 Portrait of a Thing as Van Gogh! I’ve been hanging out with Van Gogh quite a bit, lots of lines! It’s really interesting drawing something based on another person’s distinctive art. It’s especially interesting and challenging trying to draw his work in a radically different medium. Expect more to come!